This volume brings together from various sources from the eighteenth century to the present the most interesting criticisms of Shakespeare by English-speaking actors. The introductory chapter suggests the actors' typical contributions to Shakespeare criticism. 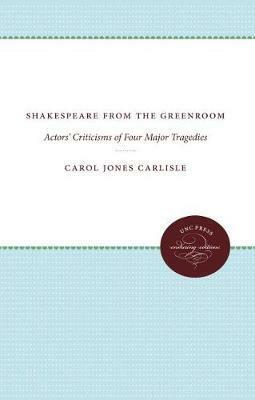 Each of the four main chapters deals with one of the major tragedies, presenting the actors' ideas about the play itself, and the concluding chapter evaluates the actors' criticisms and points out some relationships between actor-critics and other critics of Shakespeare.